Couples who have had their game nights ruined by bedtime-eschewing kids or something a bit more daunting can now look forward to seeing their misadventures up on the big screen. 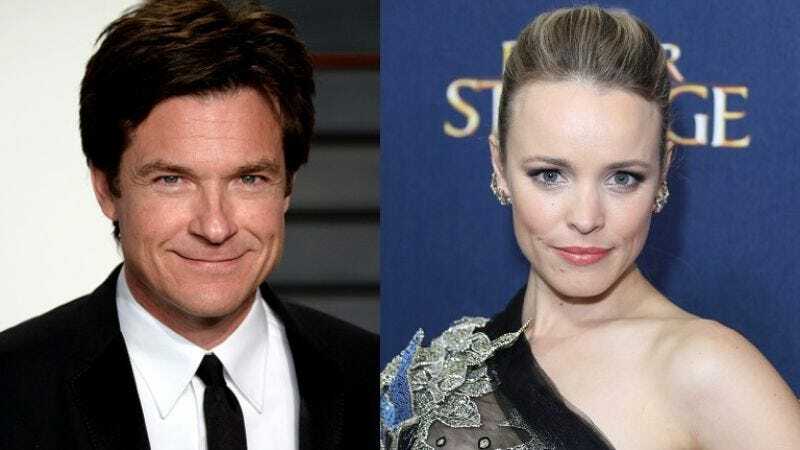 Variety reports that Jason Bateman and Rachel McAdams have just signed on to the cast of Game Night, from Vacation directors Jonathan Goldstein and John Francis Daley. The New Line comedy will star Bateman and McAdams as a couple whose regular game night goes “goes terribly wrong” for some as-yet-unknown reason. Does one of the other couples forget the dice, or is Connect Four the only game they have to play? This is the first comedy feature for McAdams since Wedding Crashers, as well as her first collaboration with Bateman, Goldstein, and Daley. But Bateman and Daley are old pals, having already worked on two Horrible Bosses movies.